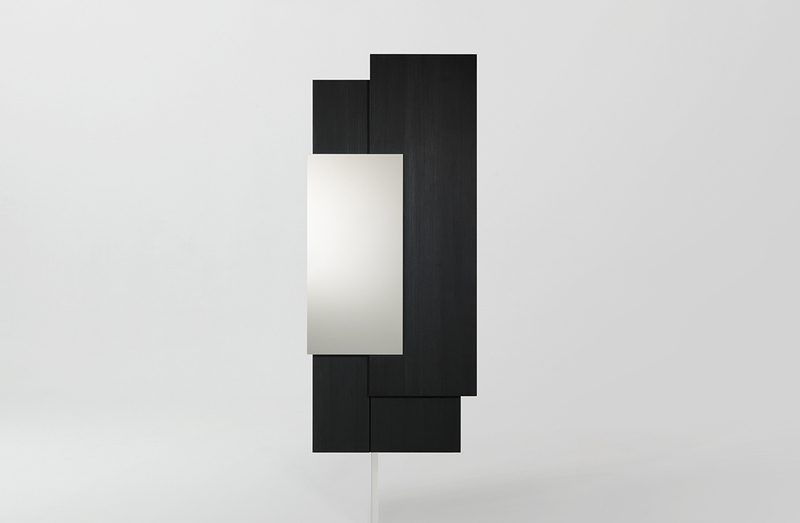 Vertical cabinet with structure in oak, sand-blasted oak, thermo-treated oak, or sandblasted larch. Door fronts in wood to match, brass, marble, or onyx. Optional internal LED lighting. Can be specified with door hinge on right or left side. Structure finishes: Oak wood in natural, tinted, or open pore lacquer. Sand-blasted oak in natural, tinted or open pore lacquer. Thermo-treated oak in light or dark tint. Sand-blasted larch in natural or black tint. Door finishes: Wood to match above. White onyx. Brass in natural satin, burnished hand-brushed, silver-plated finish. White carrara or dark emperador marble.